Every businessman wants good returns, and businesses are constantly trying out different ways to “spice up” their operations. If you are one who is willing to try new technology, then consider call tracking. You might have heard it among your peers as it is increasingly gaining attention nowadays and getting mixed reactions. After all, if call tracking just “tracks calls,” what more can it do for conversions and returns? Turns out, call tracking can actually put you in a position of advantage when it comes to getting your returns of investment (ROI). All you need is a bit of creativity with how you can use the call tracking system. Calls make up a huge part of the sales process, and a lot of effort goes wasted because of the lack of a proper approach. For instance, only 2% of cold calls become appointments, and sales representatives spend at least 25 hours every month just leaving voicemail to prospects. Only 14% of communication in sales are done through words; 86% of it has a lot to do with how you communicate yourself through your tone, nonverbal actions, smiles, and gestures. With this in mind, it is important that you know not only your sales figures but knowing what goes on during calls. Call tracking can make this much easier for you to accomplish. 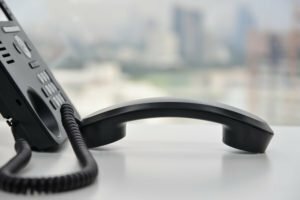 Call Tracking For ROI: How Does It Work? 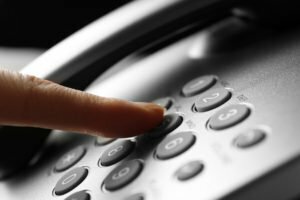 With the above in mind, it does certainly help to have access to calls your sales team takes in order to have a much better understanding on how these calls impact the rest of your operations. After all, if majority of sales happen during calls, it does make sense to focus on them, right? Thankfully, service providers such as Fone Dynamics can actually help make sense of your calls through call tracking. If you do get such service, what should you expect? How can call tracking help with your ROI goals? Determine which channels are working for your needs: Call tracking essentially makes sure numbers are assigned to your specific marketing channels. This means your advertisements, websites, billboards, radio and television ads, and even other marketing materials are assigned unique numbers for people to call. When clients reach to you through these numbers, the call tracking system will record this data for you to utilize. This helps you determine what sorts of clients are communicating with you and which marketing channels are working for you or not. Get a lead on your calls and know their effect on sales: Call tracking allows you to have accurate statistics when it comes to your calls. Calls are one of the most “mysterious” elements of sales, as after all not everyone gets to hear what’s happening. But with the recording feature of the call tracking software, you can hear what goes on during calls, so you can make an assessment on the effectiveness of your company’s sales process. Fully integrate your data with other software your business is using: One of the biggest perks of using call tracking is it can be used in conjunction with your existing software. You don’t have to worry about running and managing different systems and comparing and collating different reports. You can customize you call tracking system to work with your other systems and generate comprehensive data for your needs. Find out which parts of your operations you need to improve: Call tracking allows you to determine which aspects of your operations are working, what systems need fixing, what processes need adjustment, and what parts you need to let go in order to make all your processes efficient and effective. This can immensely save you time and resources, both of which are extremely valuable to make sure your company stays afloat for the years to come. Know which elements of your customer service are working or not: Training your sales staff on what to do when talking with customers can be tricky. This is especially true your only basis for evaluation is just sales. Numbers pertaining to sales aren’t enough when it comes to determining just which methods are effective or not. Thankfully, call tracking’s recording feature also allows you to review calls and assess which parts make the sale and which parts need to be improved. Identify which elements make your customers happy: One of the ways call tracking can help you in your goals of providing the best buying experience to your customers is the fact that call tracking is capable of letting you know whether or not customers are satisfied or not. By reviewing recorded calls, you will know if customers are happy to have reached to you for their needs. You can use such information to implement changes in your sales process so you get the best reviews for your product, customer service, and company as a whole. When you have a goal to get your returns in a specific amount of time, you would definitely want to think about ways to attract customers and push for better conversions. However, another effective strategy you can focus on is to assess how your sales team interact with your customers and how your marketing strategies are working. Call tracking can help you do all of these. Call tracking can generate data that you can use to come up with effective means of meeting ROIs, especially if you’re in the process of improving your business processes.